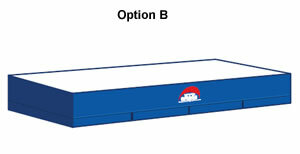 Submit a quote from this page or click Style Option A or Option B For more detail for that shape. Here we feature standard shapes & sizes. You select from our color chart to customize your quote. 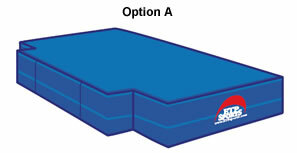 If you don’t see a combination the meets your requirements use our custom high jump quote page or feel free to call. We would appreciate the chance to earn your business.